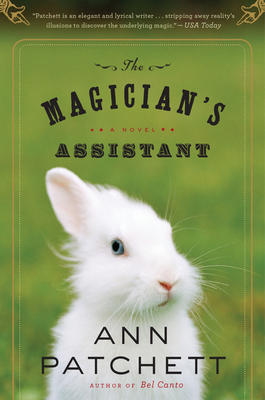 "A secretive magician's death becomes the catalyst for his partner's journey self-discovery in this enchanting book ("San Francisco Chronicle") " that is something of a magic trick in itself (Newsweek)." When Parsifal, a handsome and charming magician, dies suddenly, his widow Sabine who was also his faithful assistant for twenty years learns that the family he claimed to have lost in a tragic accident is very much alive and well. Sabine is left to unravel his secrets, and the journey she takes, from sunny Los Angeles to the bitter windswept plains of Nebraska, will work its own magic on her. Sabine's extraordinary tale, with its big dreams, vast spaces, and disparate realities lying side by side captures the hearts of its readers and proves to be the perfect place for miraculous transformations ("The New Yorker"). "